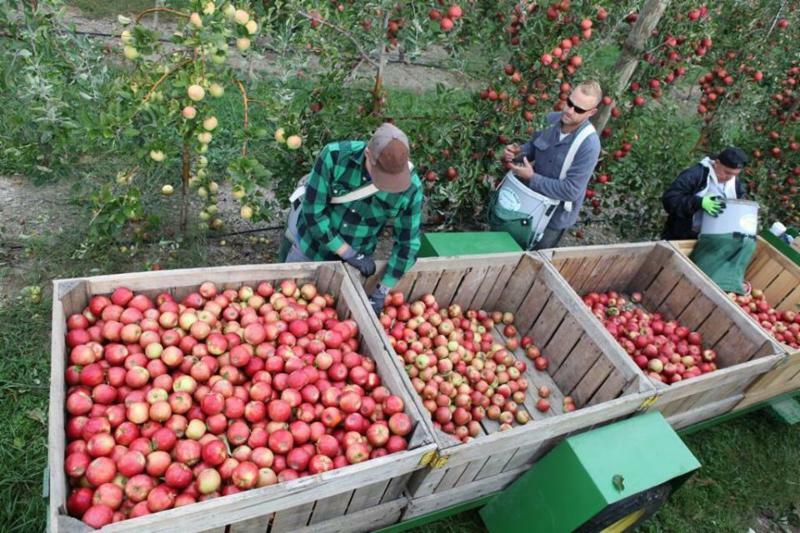 Come celebrate the autumn season with some old-fashioned harvest fun - live music apple pie eating contest and apple sampling with 20 varieties of Pennsylvania’s finest apples! 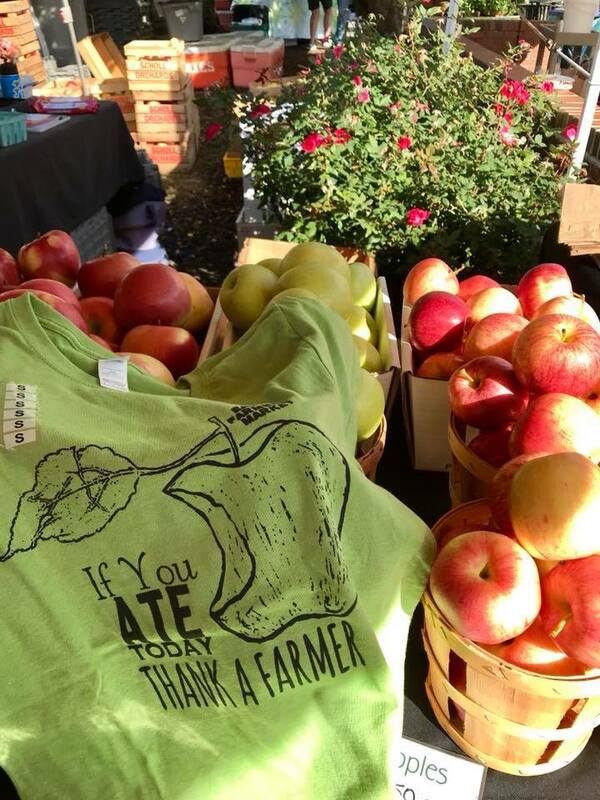 Apples abound at EFM at Apple Jam along with fresh apple cider, apple cider donuts and apple fritters. And Stinking Badges will be jammin’ in the Music Tent for your entertainment as you take a bite out of the forbidden fruit! 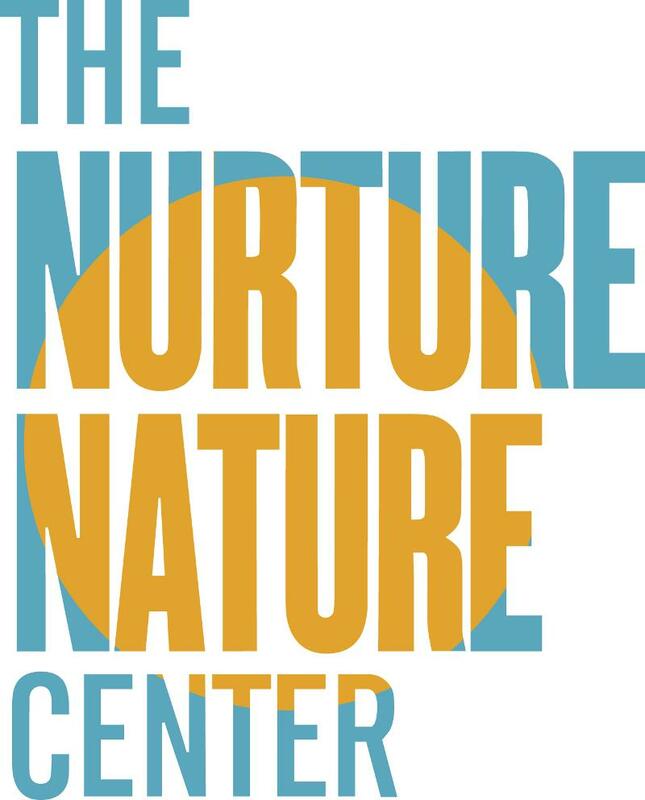 For the kids you'll find apple crafts with Revitalize with Rebekah, and free face painting with Charlotte. And don't miss apple printing in the ACE tent! Separatist Beer Project Debuts New Hard Ciders! Separatist Beer Project will be in the Local Libations tent hand selling two wild-fermented apple ciders made with about 10,000 pounds of apples from Scholl Orchards! Agave Dreamwave is a cider aged in Anejo Tequila barrels on top of organic limes and Himalayan pink sea salt. 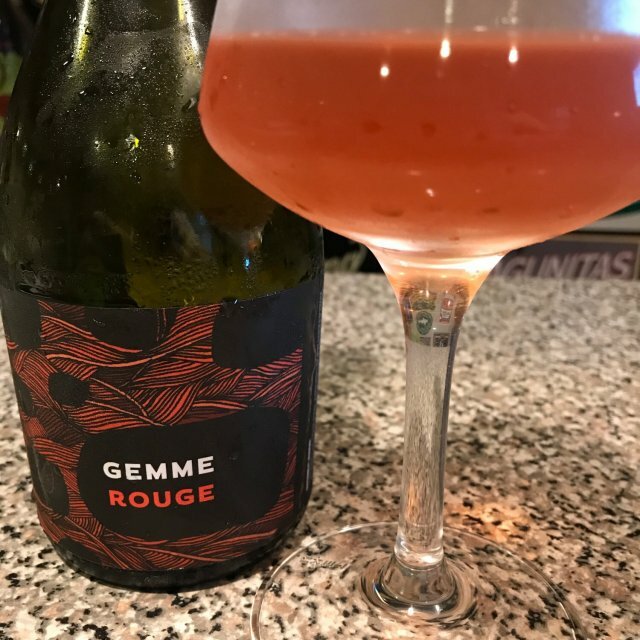 Gemme Rouge is a cider reconditioned on 160 pounds of tart cherries. Separatist will sell 500mL bottles of each for $10. 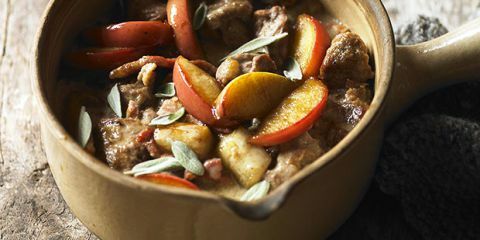 This hearty apple casserole is perfect for these chilly days. Leeks, garlic and bacon add to the fall flavors. You'll find fresh pasture-raised pork at Apple Ridge Farm and Breakaway Farms. 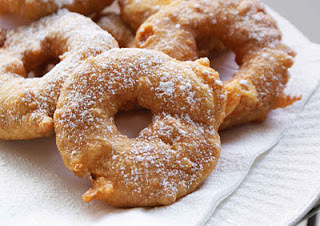 Nothing says fall like Sycamore's hot apple fritters dusted with powdered sugar! 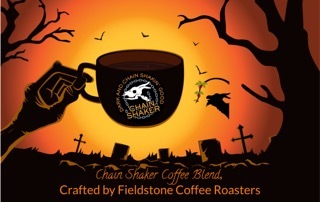 This custom craft by Fieldstone Coffee Roasters, Chain Shaker Coffee Blend is just Chain Shakin’ good! It’s dark, bold, smooth but spooky. Only released for Halloween….too spooky to offer all year long. Grab a bag before it’s too "late…." Don't miss the fresh, young ginger at Blooming Glen! Young ginger is not as pungent as the mature version. Make pickles to be served alongside sashimi or as a garnish to soups. It can be candied, or steeped with sugar and water to make a simple syrup that can be used in granitas and sorbets. Mince fine and use as a last minute addition to stir fries, or whisk into salad dressings. 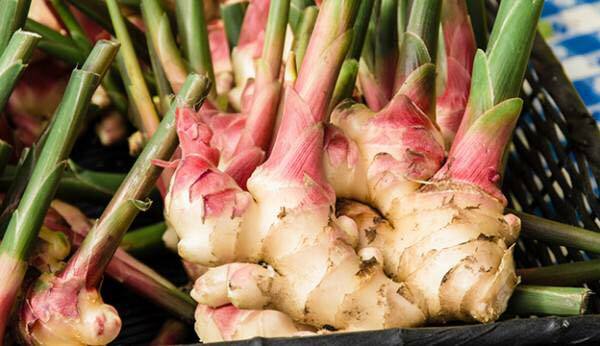 Young Ginger can be stored in a paper bag in the refrigerator for up to a week. It can also be sliced thinly and frozen or frozen whole depending on the anticipated preparation. Try this recipe for Kohlrabi Salad with Apple Ginger Vinaigrette. 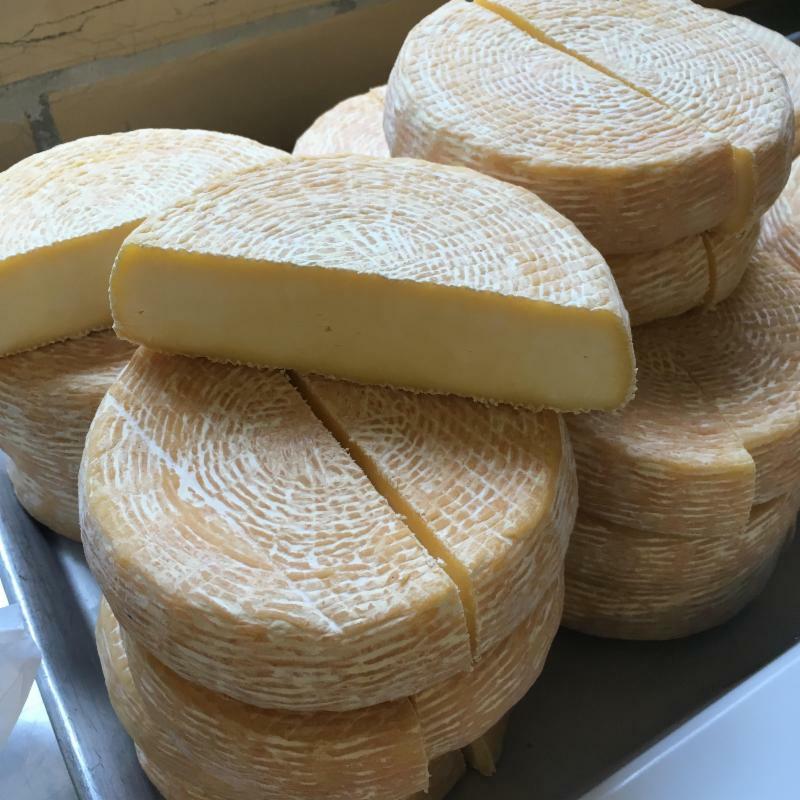 This Saturday Gouda and Hollyhock are back at Valley Milkhouse! The hard aged Gouda is now 4 months aged and developing a beautiful array of aromas including hazelnut, caramel and umami. Grab a wedge to pair with a rustic bread from Apple ridge, or grate and melt it into your next omelette or panini! Hollyhock is the cider washed Brie that is back by popular demand this weekend. Bathed in Frecon Orchards’ hard cider lees, this creamy cheese has yeasty, barnyard aromas and fungal flavors. The soft-ripened styles including Witchgrass and thistle are supple, buttery and bursting with flavor this time of year! Not to be missed! 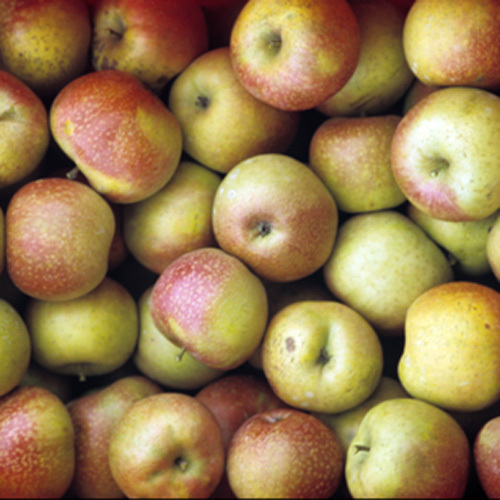 It's the height of apple season at Scholl's so you'll find dozens of varieties for baking, cooking and eating! Stop by the Apple Sampling Table to try them. And you can count on Scholl's for everything apple this week... apple cider, applesauce, apple butter, and apple cider donuts! We don't want to give away all Farmer Pete's surprises but he's bringing some really rare heirlooms for the Apple Sampling. The names themselves are so intriguing... Spitzenberg (an 18th century variety, often said to be Thomas Jefferson's favorite apple), Arkansas Black, and Blacktwig to name a few. Stop by the Apple Sampling table to try them all! And check out Pete's selection for sale. With all the rain this year it's been a rough growing season for apples (especially organic) so supplies limited - get 'em while you can. 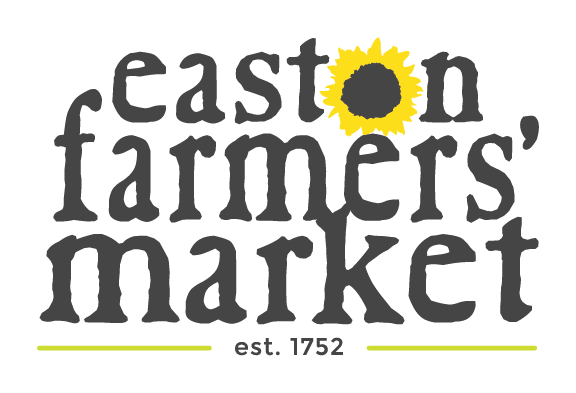 Two new Fall Farmstand Recipes are coming out of the Easton Public Market Kitchen for this weekend's Apple Jam! 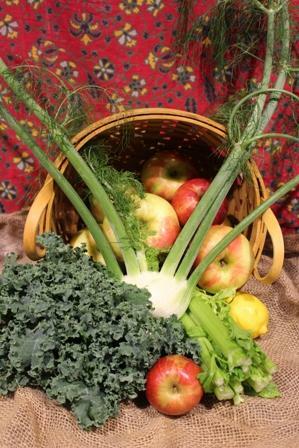 First, apples sources from Scholl Ochards and curly green kale from Salvaterra's Gardens combine to make a crisp salad with fennel, celery, walnuts, and an apple cider vinaigrette. Next on the menu, Spiced Oat & Apple Energy Bites, rolled together with Scholl Orchards Apple Butter, oats, dried apples, dates, maple syrup, maple sugar and spices; a delightful nut free, seasonal treat that can be enjoyed on the go or with a hot cup of tea or coffee! 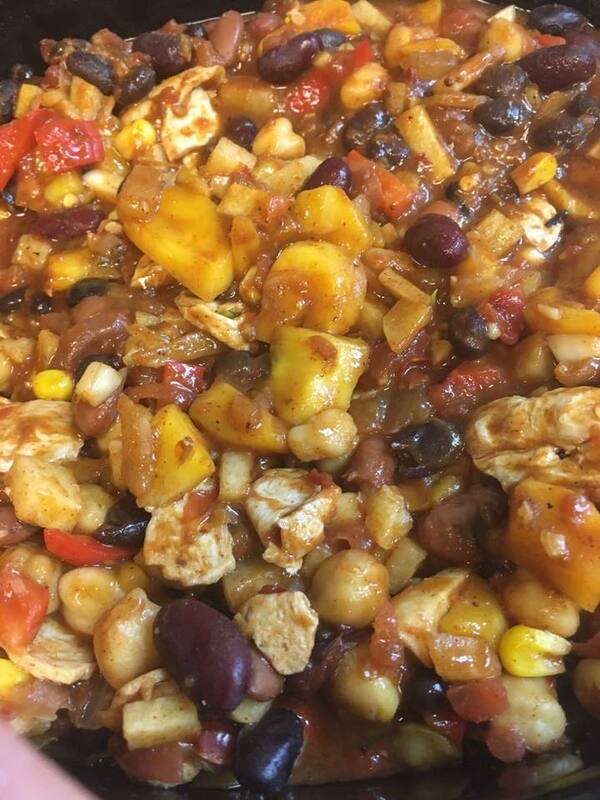 Check in at the Farmstand recipe tent to try some samples and see what other salads are available. 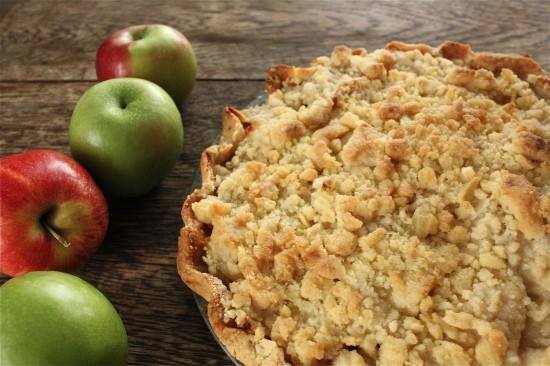 Nobody bakes an apple pie like Tomblers... flaky buttery crust and piled high with sweet, juicy just-picked Scholl apples...sooooo good! Choose from crumb or lattice top. And if you like dumplings, Karen and her crew have been busy as bees making their famous apple dumlpings and dumplettes for Apple Jam! Look for other apple-licious treats too. And don't forget to stock up on pasties, perogies, and their fabulous spent-grain pizza crusts! 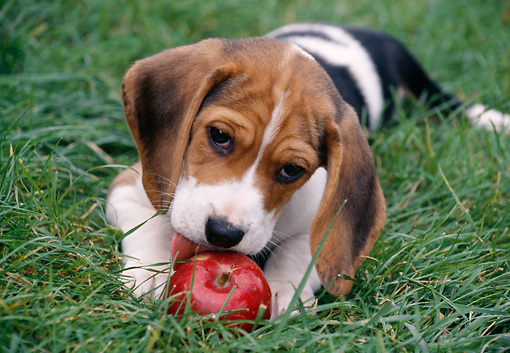 The Dining Dog is serving up tasty treats for your pup for Apple Jam! 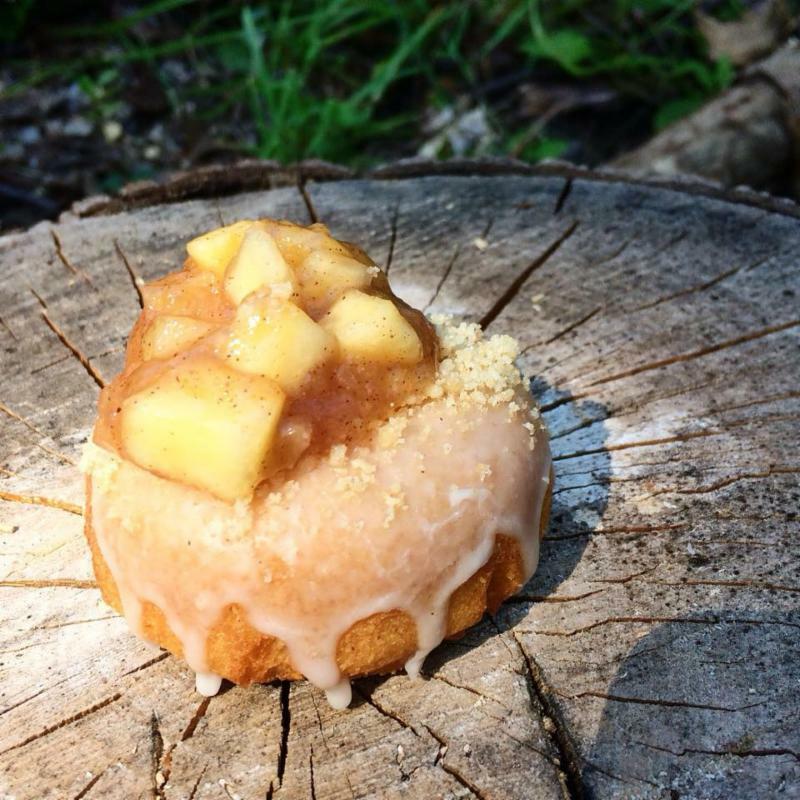 Look for Susan's famous apple pie doughnuts along with other fall favorites and surprises! 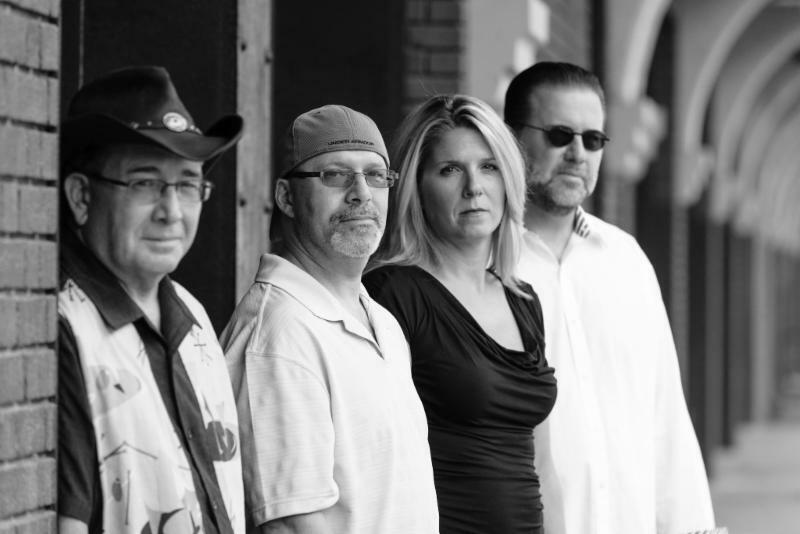 Stinking Badges is a local Easton band who is going back to their roots -- a fusion of family and friends with distinctive voices and diverse musical influences. Their vibe is eclectic and acoustic, mixing multiple genres from yesterday to today. 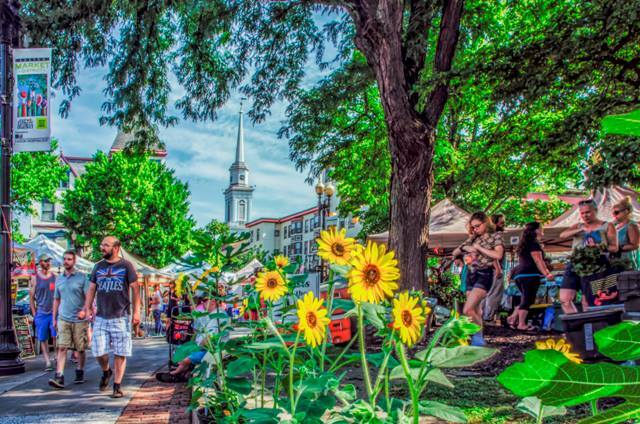 So take a seat on the North Lawn of the Circle to hear some great locally grown music. At the EFM Music Tent from 10 am to 12 noon. Printing from bamboo and wood has been around for hundreds of years. Learn how ACE artist Katrina Heebner uses a laser to cut materials for this ancient art form. 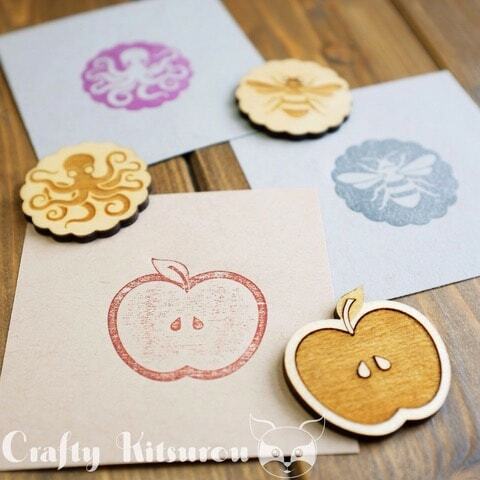 Let Katie show you how to make beautiful prints with laser cut bamboo stamps or woodcuts. Only $5 for your own masterpiece. 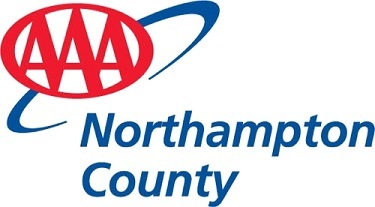 All supplies provided for this create and take activity. 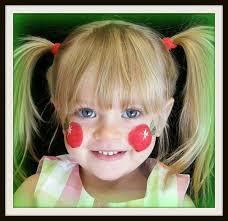 Bring the kids by for a cheeky apple or other farm fresh fun designs! This will be Mud & Maker's LAST appearance at EFM this season so DON'T MISS OUT. Bring your list and get a jump start on your holiday shopping! 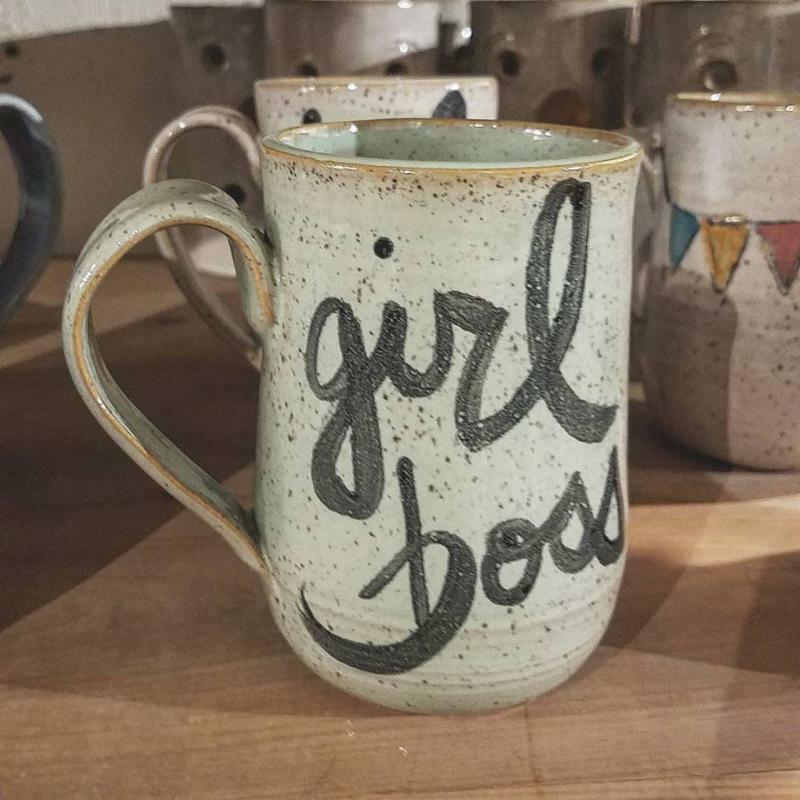 We LOVE this girl boss mug! A perfect gift for all those women who DO IT ALL!